Drum and Bass India™: LSB delivers 'A New Day' EP to celebrate the launch of his new label, 'Footnotes'. 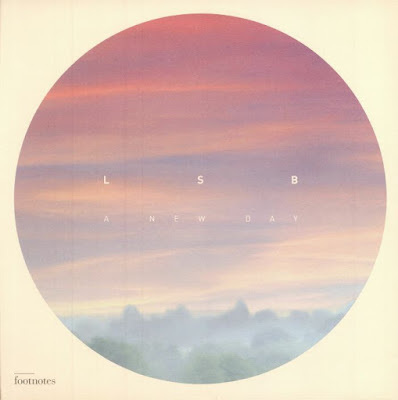 LSB delivers 'A New Day' EP to celebrate the launch of his new label, 'Footnotes'. Following the likes of Lenzman, Alix Perez, Spectrasoul, Ulterior Motive and The Prototypes, LSB has launched his own Imprint, ‘Footnotes’. To celebrate the launch of his new label, LSB has released a new EP ‘A New Day’ featuring four tracks starting with the DRS led ‘New Day’, the Acid Techno roller ‘Tripped’, M.I.S.T esque ‘Jazz Strings’. Dare we say that we feel the influence of LSB’s Soul:r sound in his new EP and we cannot wait to see what’s in store for us.